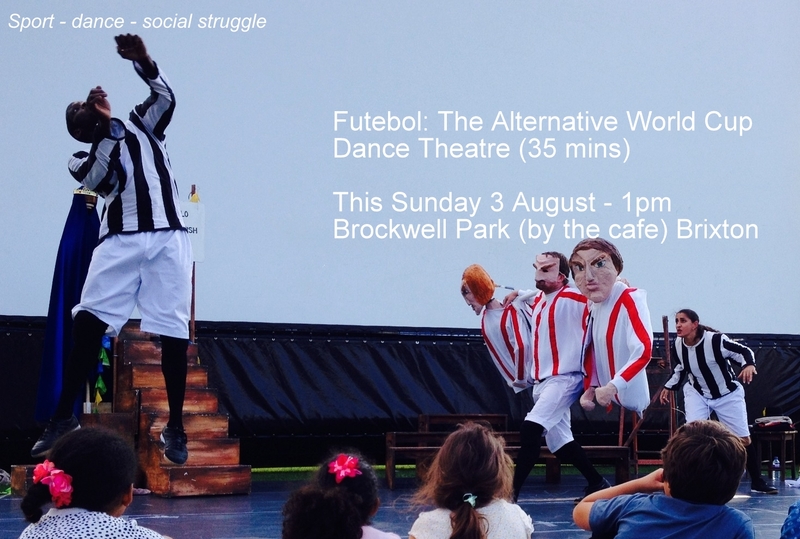 Brockwell Park marks another anniversary at 1pm this Sunday, 3rd August, with an urban dance, capoeira and football freestyling performance at the Peformance Space, Brockwell Hall, by Light Up The House. The performance celebrates the tenth anniversary of The St Matthew’s Project (SMP), a community group which offers football and coaching sessions to young people aged 6 to 21 from disadvantaged backgrounds in Tulse Hill, SW2, in the friendly environment of Brockwell Park. You will see SMP coaches Lee Dema and James Alexander on Saturday mornings on the ‘Tulse Hill’ side of the park encouraging and inspiring young people to fulfil their potential through football. The SMP has also initiated numeracy training for the young people at nearby Jubilee Community Hall. SMP is kindly providing refreshments and encourages all park users to come to the dance performance on Sunday 3rd August and show their support for the SMP.